New Chevrolet Trailblazer, the mid-size sport utility vehicle by the American car maker that was unveiled at the Dubai International Motor Show last year is expected to be unveiled at the Bangkok Auto Show in Thailand. The pre-launch images of the Chevrolet SUV came in prior to the launch revealing that the exact proportions of the car and some of the features as well. Powered by a 2.8 L four pot diesel engine the Trailblazer delivers 177.5 hp. An India launch of this Chevrolet SUV is imminent. 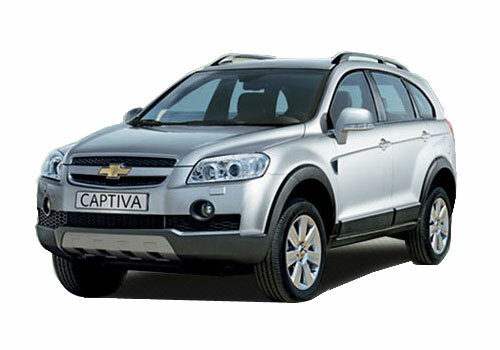 Giving a close look to the GM car, it seems to be more like the big Chevrolet Captiva SUV. The international model will be built in Thailand and later on in Brazil. Thus it will be a close rival to Ford Endeavour and Toyota Fortuner. The Chevrolet Trailblazer price in India is expected to be Rs 19 lakh and it will be launched here towards the end of this year, hopefully this Diwali. A US launch is imminent along with the Chevrolet Colorado pickup truck. Built on the body on frame platform, the Chevrolet Trailblazer crossover has a lot of space and legroom inside and there is flexibility to bend the second row to accommodate more storage. A seating for seven six footers is what the TrailBlazer promises. The exterior of the GM SUV is of the typical shape with the large Chevrolet badge sitting tight on the front grille. The interiors too have a great combination of wood and chrome finish at many places. The steering is has multi functions with cruise control on it. The infotainment has been taken good care of inside the new Trailblazer. There is Bluetooth connectivity along with USB connectivity for iPod. As per the reports, the Trailblazer could be launched in certain market as Colorado 7. The global SUV based on the body on frame platform is hoped to cover as many markets as it can with US, India and China prominently.